A picture may paint a thousand words, but without words backing up an image, communication is incomplete—expression is limited, business halts, and confusion and chaos rule. 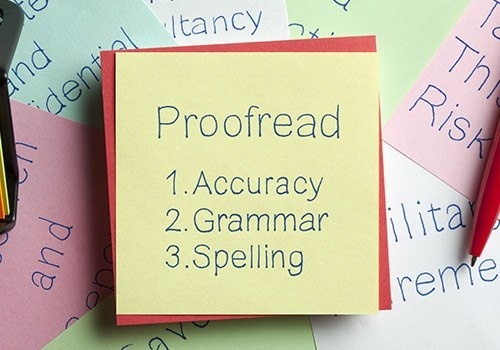 Ensure that communication is both complete and effective with top-notch copyediting and proofreading from The Write Word Inc. Pat Hadley-Miller can review your text for clarity, making sure that your copy is concise and your message is vivid. She can also check your content for errors in grammar, spelling, punctuation, consistency, and style. Is your documentation department facing great demands amid a surge in market share? If you’re running short on staff and you need your manuscripts copyedited or proofread pronto, Pat Hadley-Miller can come to your rescue. Offering fast and reliable copyediting services, she can help publishers, corporations, and small businesses beat tight deadlines. Worried about misplaced commas, typos, and spelling errors distorting your message and ruining your entire copy? Hire The Write Word Inc. for a quick, accurate, and affordable proofreading of your content. Well-written manuscripts are a surefire way to help prospective clients realize how essential your business is to their success. Contact Pat Hadley-Miller to review your materials and perform superb copyediting. Need professional help in refining your message? How about a critique of your content? Be it manuscripts, manuals, articles, technical journals, or travel publications, Pat Hadley-Miller can assist in improving your copies. Call today to hire Pat as your freelance copy editor or proofreader.